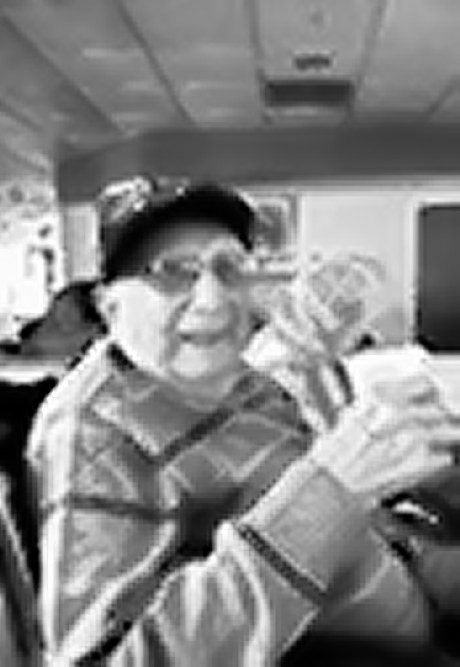 DePAOLO - Dominic James Of North Tonawanda, July 15, 2017, at 95 years of age. He passed away in residence at the Rosa Coplon Living Center on the Weinberg Campus where he was cared for wonderfully for the last year and 5 months. His wife Lorraine of 65 years passed away on February 2, 2014, so he is survived by two sons Donald J. (Lynn Ingram) and David Allan (Debi). Dom was one of nine DePaolo children, sisters, Margaret, Jenny, Mary and Amelia, and brothers, Pat, Sam, Frank and Robert, all deceased. He was the last of a beautiful family; loving grandfather of Tara Michelle, Daniel, Alison, Evan and Aaron. Great grandfather of Tara's son Kaden; also survived by brother and sister-in-law Nelson and Artha Nassiff and sister-in-law Genny DePaolo (Robert), along with many nieces and nephews from both sides, many of whom visited him regularly, something he loved so much. Many thanks go out to Kristen, Tawn, Kitty, Karen, Caitlyn and others who helped care for him and to Ali and Evan for their help and love. Dominic was a WWII combat veteran who served with honor and for which we thank him respectfully forever. He was brave and strong, kind and generous, a role model for us all. Friends received by the family on Monday, July 17, 2017 from 2-4 and 6-8 PM at BRUNNER FUNERAL HOME, (692-3841) 156 Robinson St., North Tonawanda, NY. A Mass of Christian Burial will be held at 10 AM. at St. Jude the Apostle Parish, 800 Niagara Falls Blvd., North Tonawanda. Please assemble at church. Interment Mt. Olivet Cemetery.